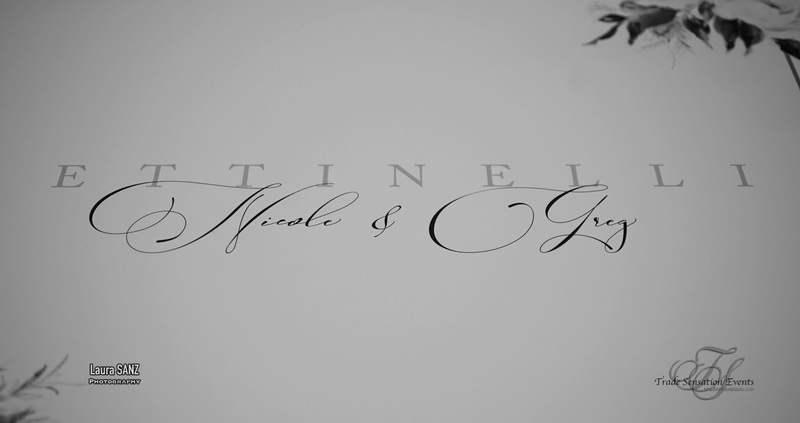 Nicole and Greg Celebrated their Stunning Wedding Reception at the Venetian Banquet Hall on October 6th 2018 with Family & Friends. 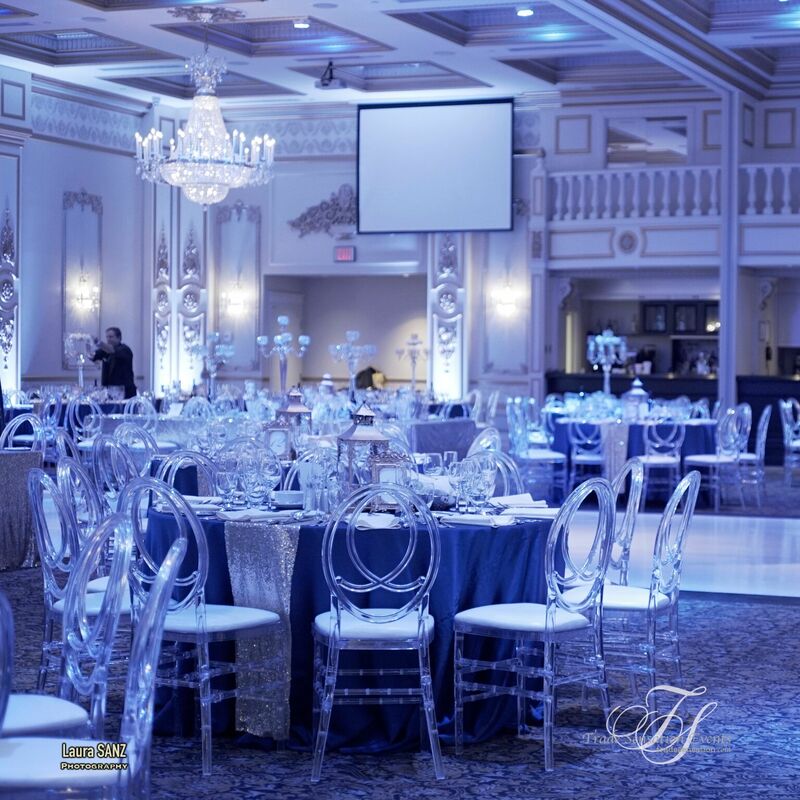 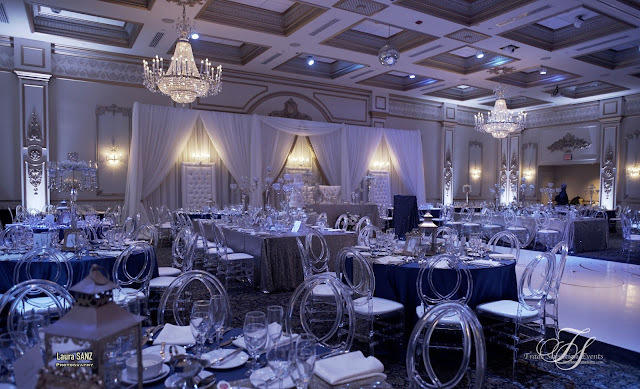 It was an Spectacular Wedding in their Reception Space, with their Grand Backdrop with White and Gold, Head Table & Cake Table Decor with beautiful Rose Gold Sequin Linens, Gatsby Crystal Candelabras, Floating Stem Glass Candles and Dark Blue Sequin Linens dazzling their Bridal Party Tables and Podium. 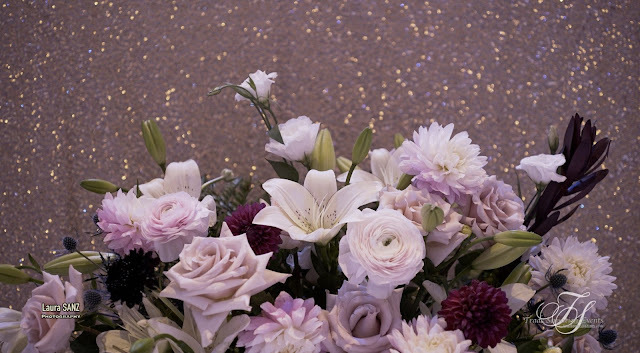 Their Lobby has touches of Gold Sequins, and a Photo Booth for Guests to Enjoy. 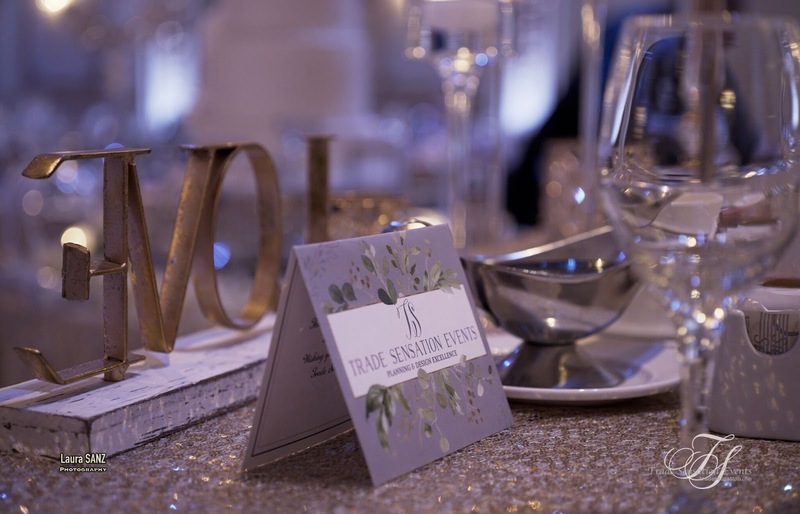 The Trade Sensation Team had such and Honour Planning Nicole & Greg's Decor and such a pleasure of being part of their Special Day. 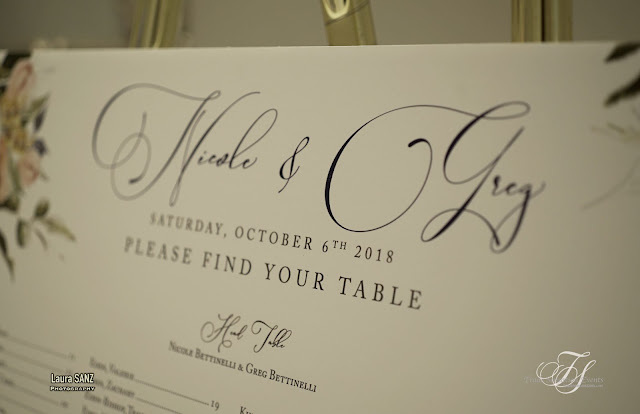 Thank you for choosing Trade Sensation Events & Co.
#BettsOnUs Hashtag to see all of Nicole & Greg's Stunning Photos on Instagram! 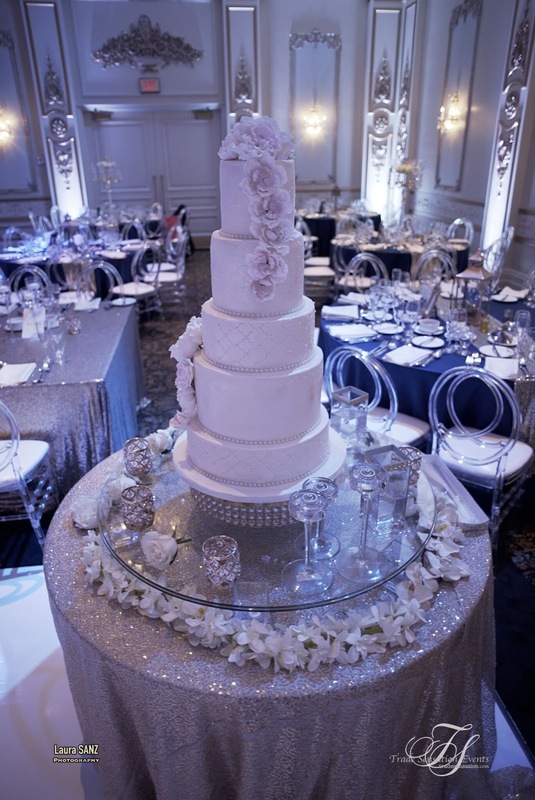 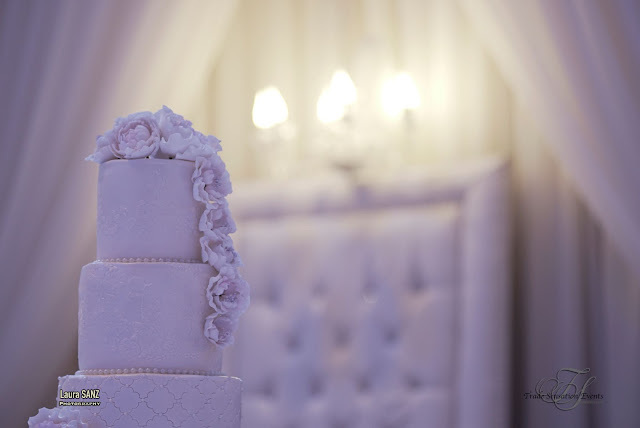 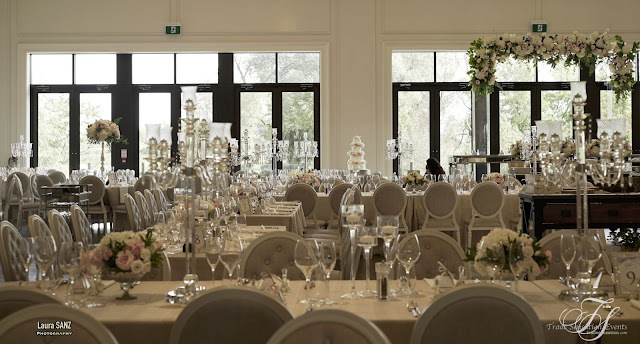 Grand Backdrop and Head Table & Floating Cake Table Decor in Reception Space. 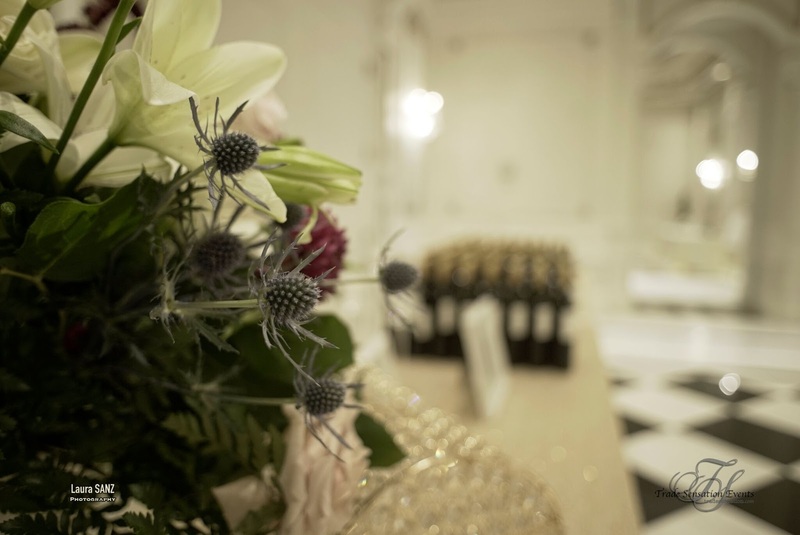 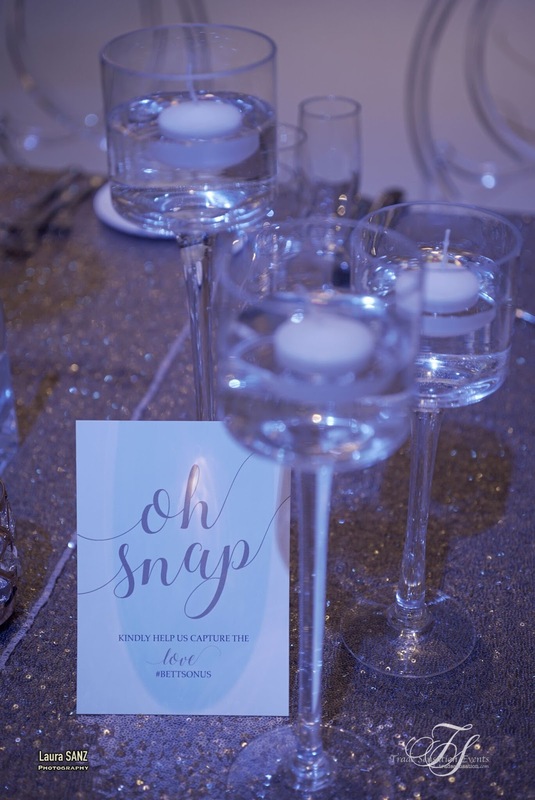 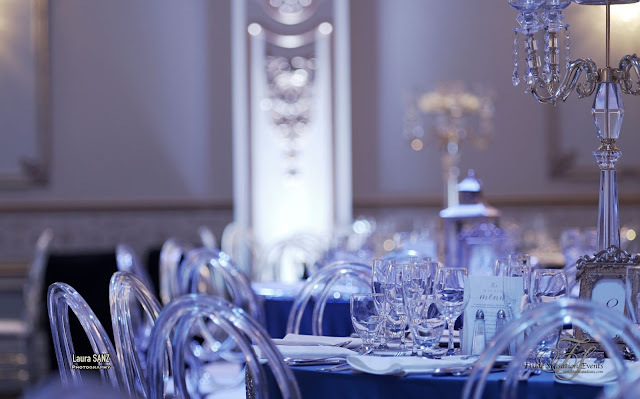 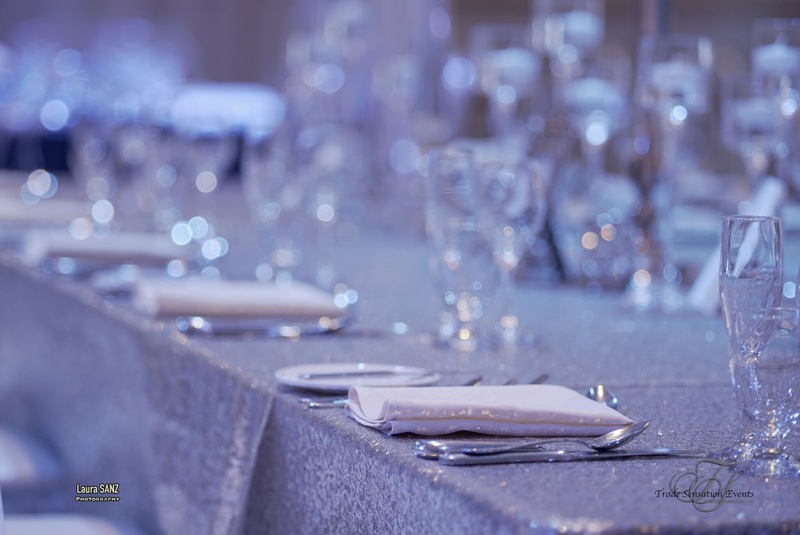 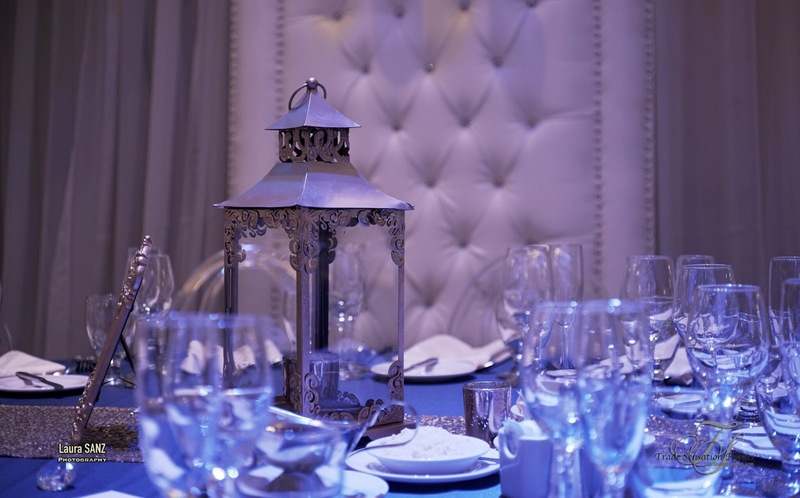 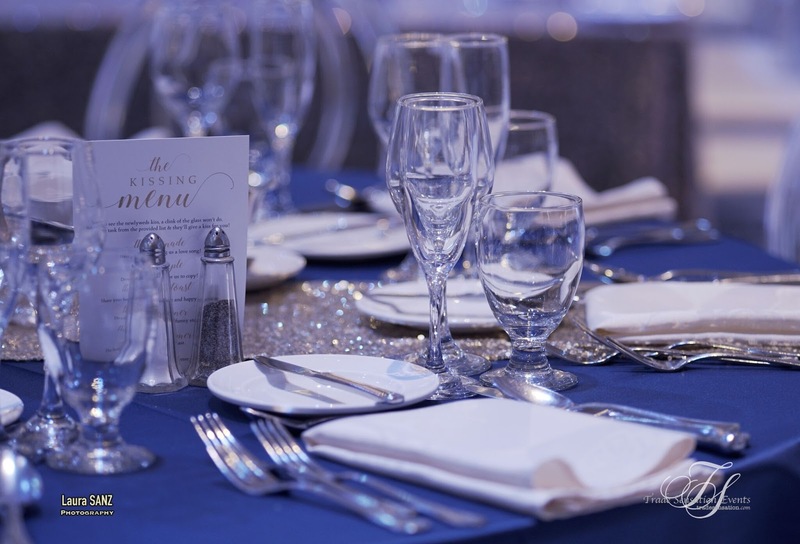 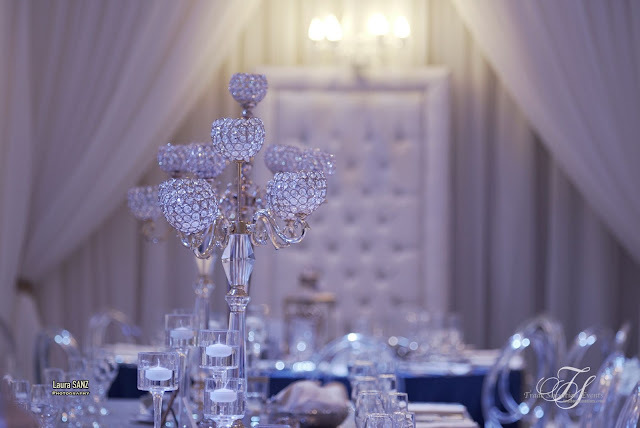 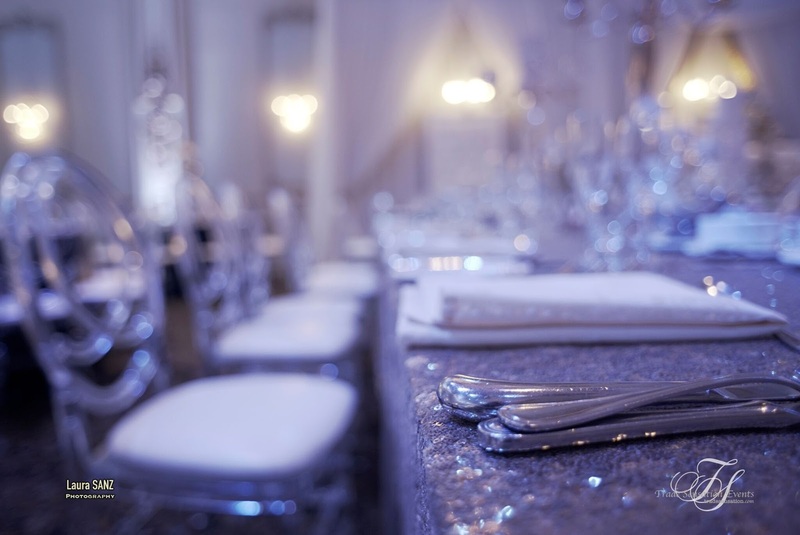 Rose Gold Sequin Linen, Dark Blue Sequin Linen, Gatsby Crystal Candelabras, Floating Stem Glass Candle Holders, Floating Floral Vases and Backdrop Packages all available for rent through the Trade Sensation Shoppe. 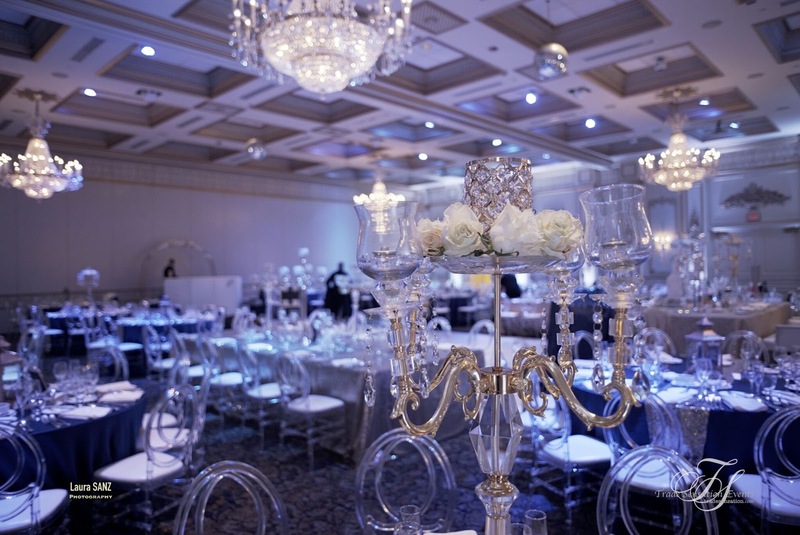 Beautiful Head Table Decor for the Bride & Groom. 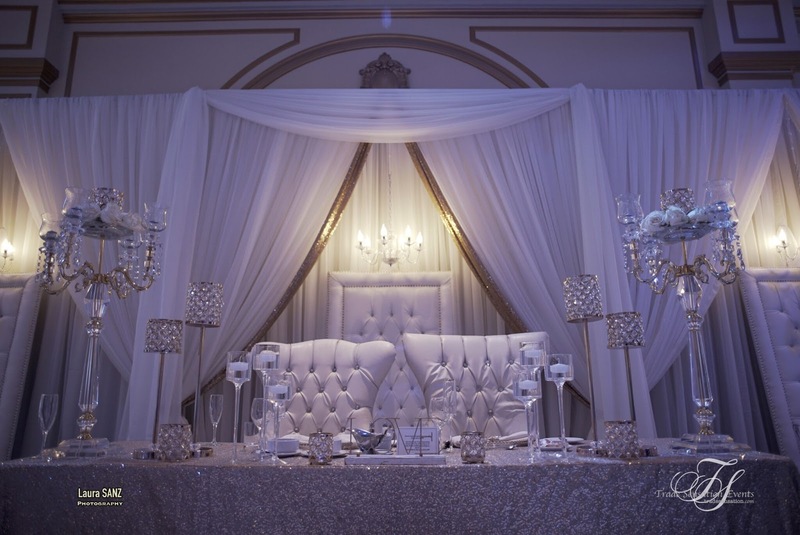 Rose Gold Sequin Linen, Gatsby Crystal Candelabras, Gatsby Candle Holder Clusters, Floating Stem Glass Candle Holders Love Sign, and Grand Backdrop Packages all available through the Trade Sensation Shoppe. 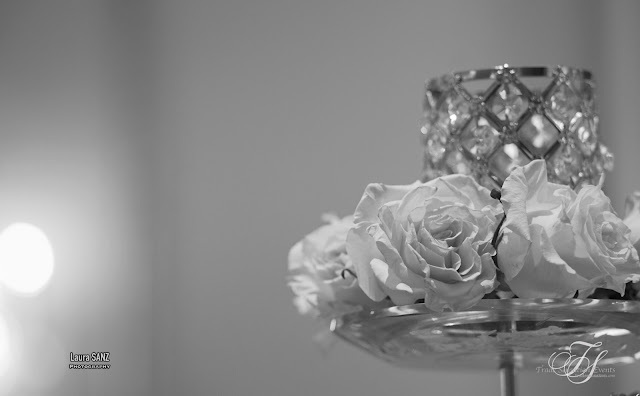 Bling Cake Stand, Rose Gold Sequin Linen, Gatsby Candle Votives, Ikea Stem Glass Holders all available for rent through the Trade Sensation Shoppe. 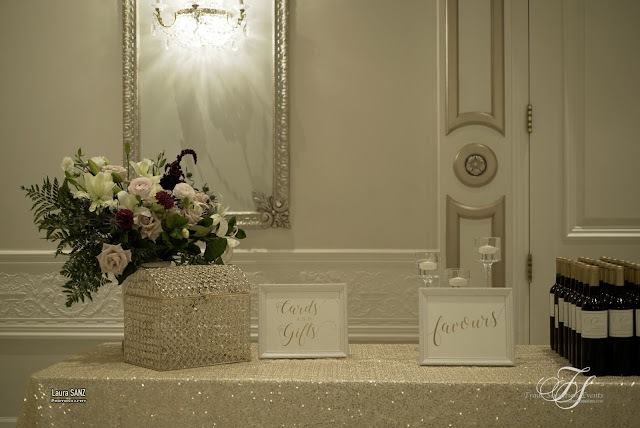 Rustic Gold Lantern Centrepiece, Gold Sequin Table Runner, Gold Gatsby Photo Frame avail for rent through the Trade Sensation Shoppe. 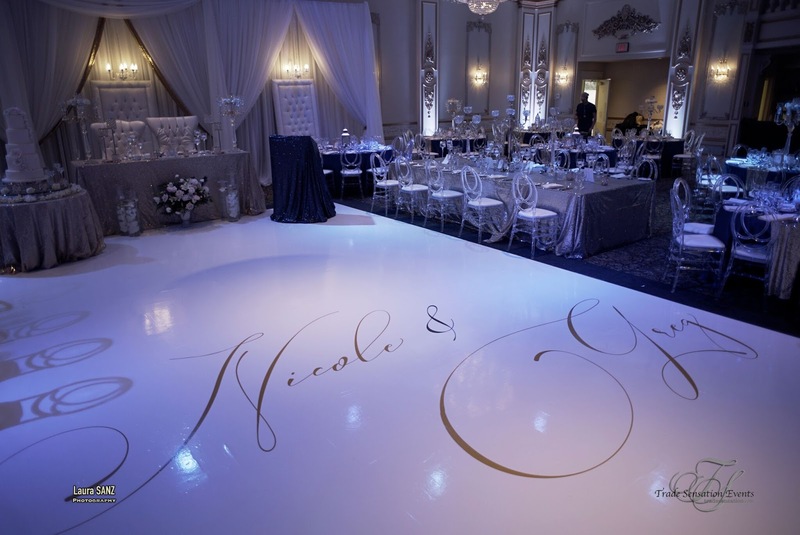 Stunning Reception Space with Custom Vinyl Floor & Logo at Venetian Banquet Hall. 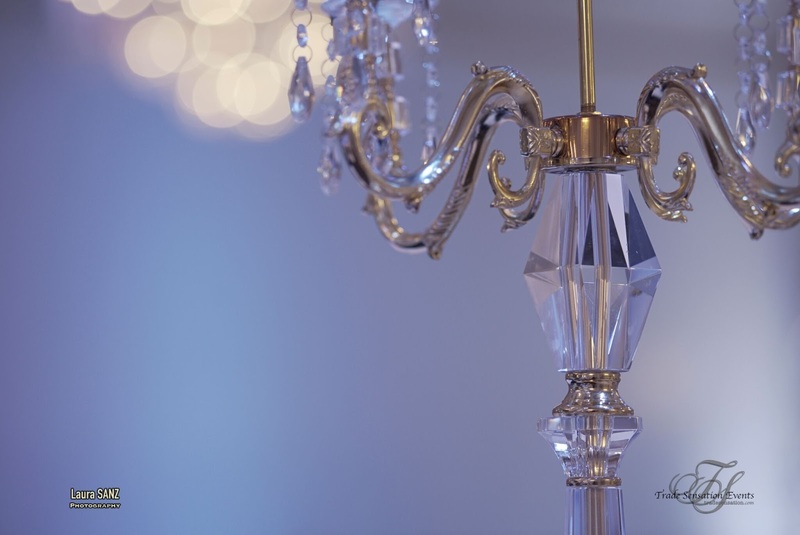 Gatsby Crystal Candelabra available for rent through the Trade Sensation Shoppe. 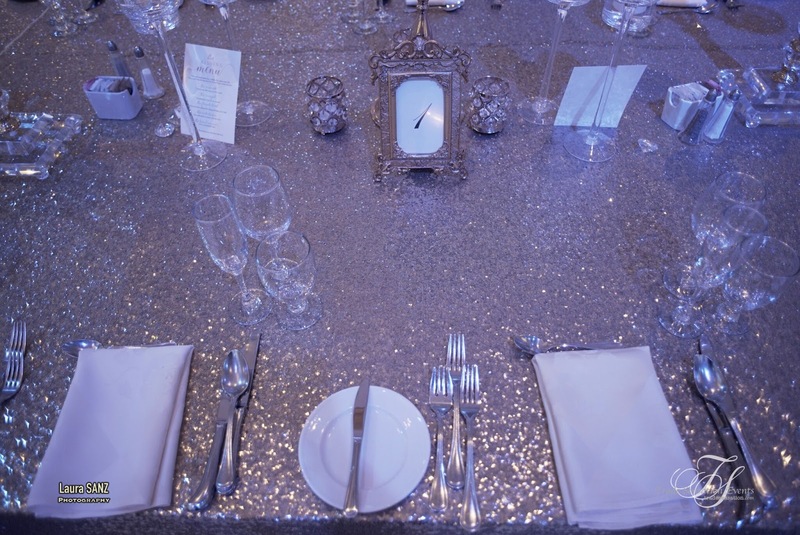 Stunning Guest Table, with Rose Gold Sequin Table Runner and Gatsby Crystal Candelabra all available for rent through the Trade Sensation Shoppe. 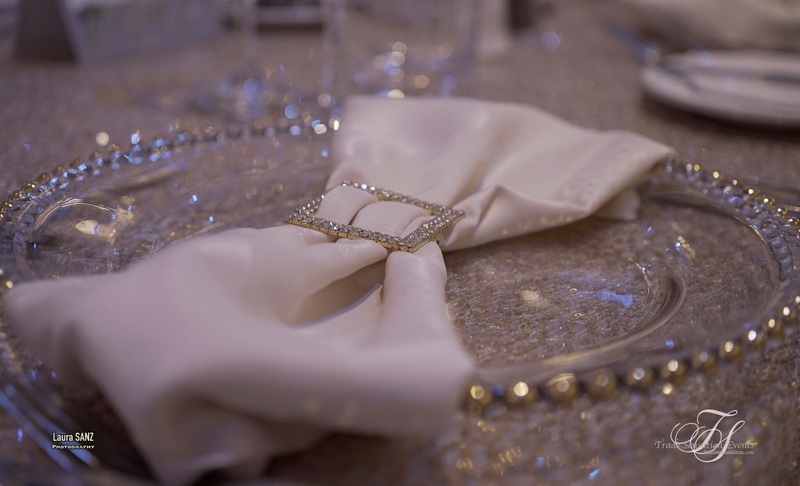 Wrapped up in a Bow! Gold Napkin Buckle and Gold Rimmed Glass Charger Plate available for rent through the Trade Sensation Shoppe. 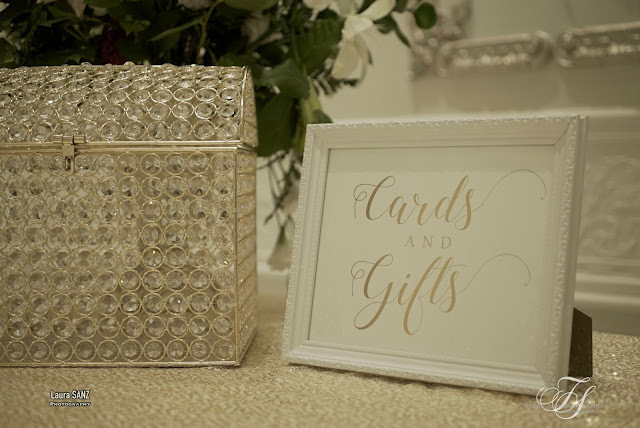 Sequin Table Runner, Gold Gatsby Photo Frame and Gold Rustic Lantern all available for rent through the Trade Sensation Shoppe. 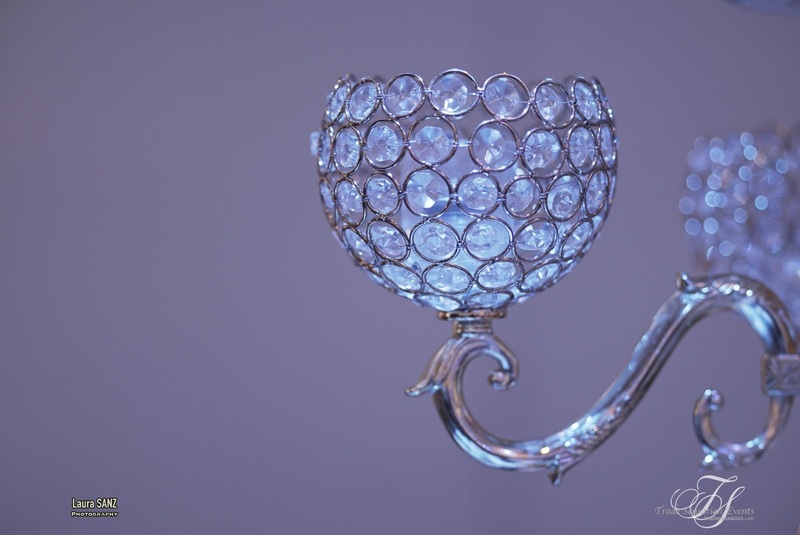 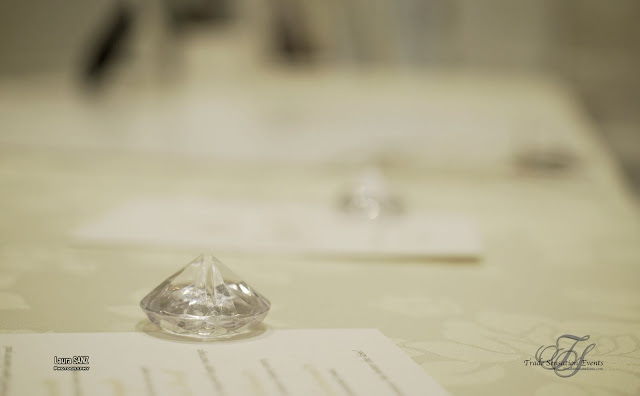 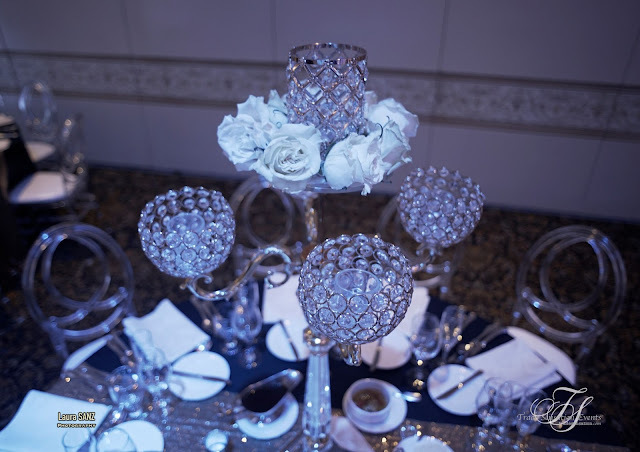 Gatsby Crystal Candelabra and Floating Candle Stem Glass Holders available for rent through the Trade Sensation Shoppe. Gold Bling Money Box and Gold Sequin Linen, and Floating Candle Stem Glass Holders available for rent through the Trade Sensation Shoppe. 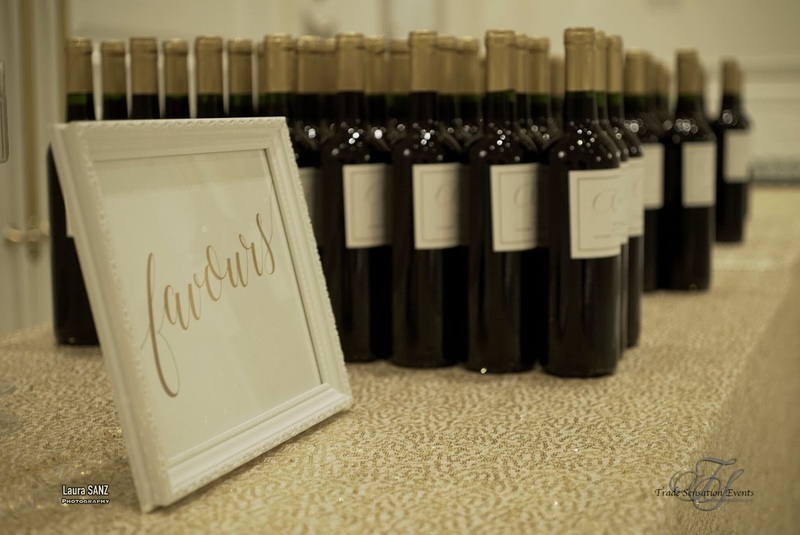 Wine Bottles as Favours for Guests! 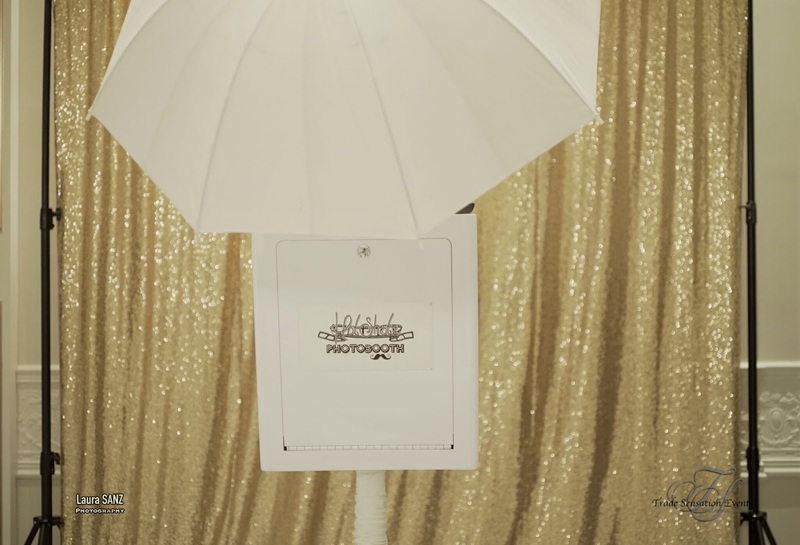 Photo Booth for Guests to Enjoy. Nicole and Greg's Guest Seating Chart. 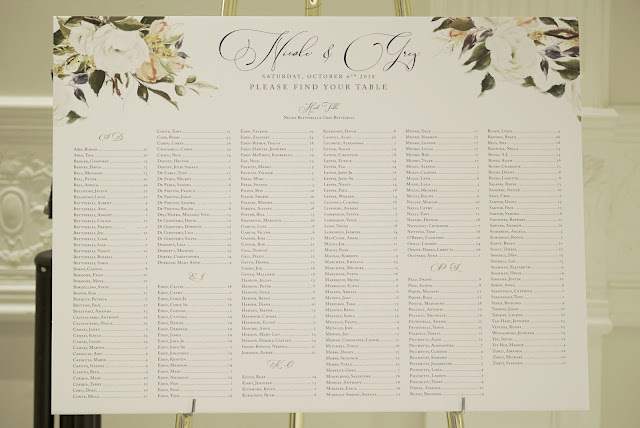 Seating Chart in Reception Area. 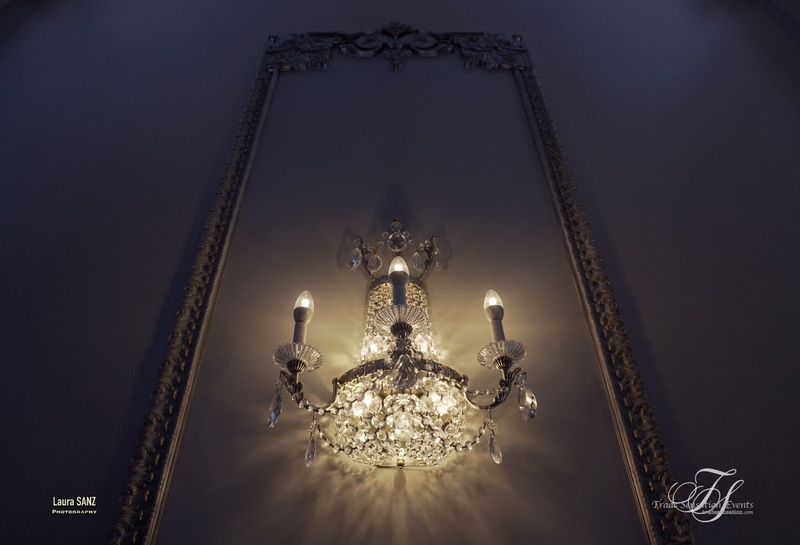 Gatsby Crystal Candelabra and Gatsby Gold Photo Frame available for rent through the Trade Sensation Shoppe. 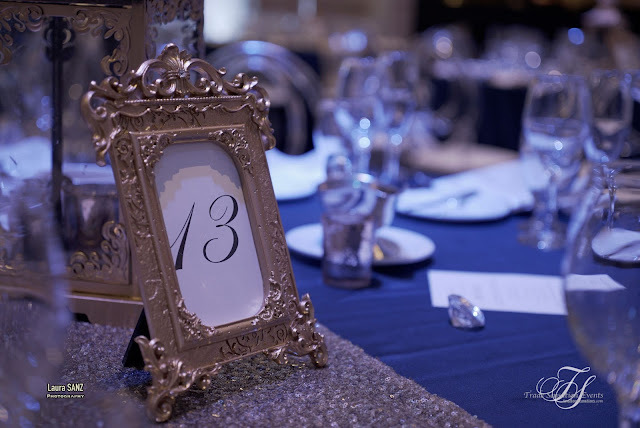 Rose Gold Sequin Linen, Gold Gatsby Photo Frame and Gatsby Votives available for rent through the Trade Sensation Shoppe. Wine for Family & Friends! Gold Sequin Table Runner, Gold Rustic Lantern and Gatsby Gold Photo Frame avail for rent through the Trade Sensation Shoppe. Rose Gold Sequin Linen available for rent through Trade Sensation Shoppe. Light adds Ambiance to the Room. 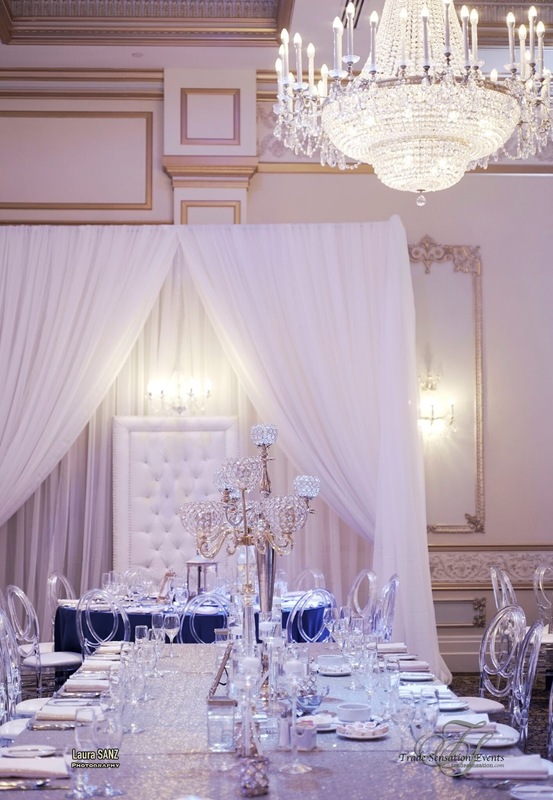 Bridal Party Table & Grand Backdrop Decor. Rose Gold Sequin Linen, Gatsby Crystal Candelabra and Gatsby Candle Votives and Backdrop Packages all available for rent through the Trade Sensation Shoppe. 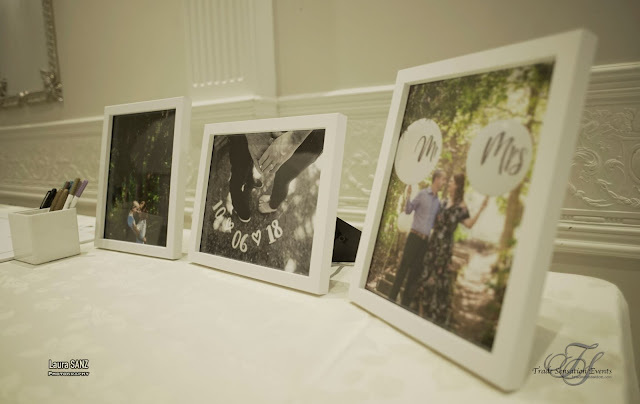 Help us Capture the LOVE! 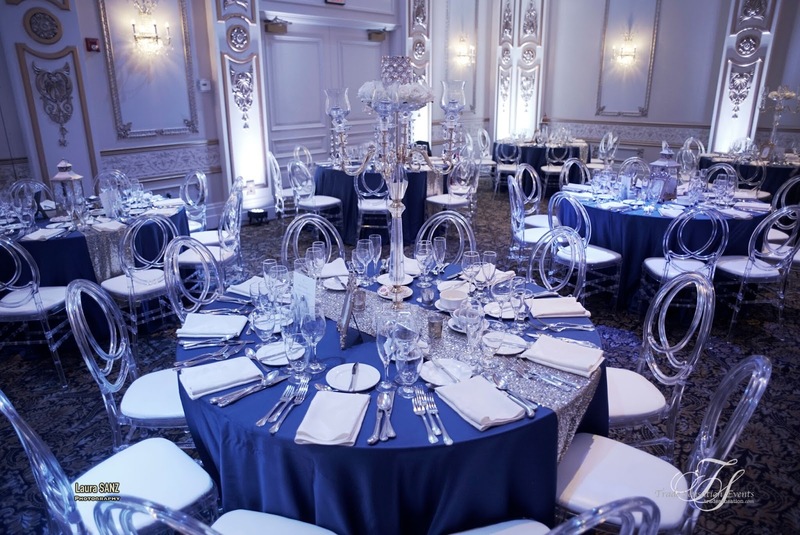 Floating Candle Stem Glass Holders for rent through the Trade Sensation Shoppe. Gatsby Gold Photo Fram available for rent through the Trade Sensation Shoppe. Tijana and John's Stunning Elegant Reception was held at The Arlington Estate on the Evening of August 4th 2018, and celebrated with Family & Friends. 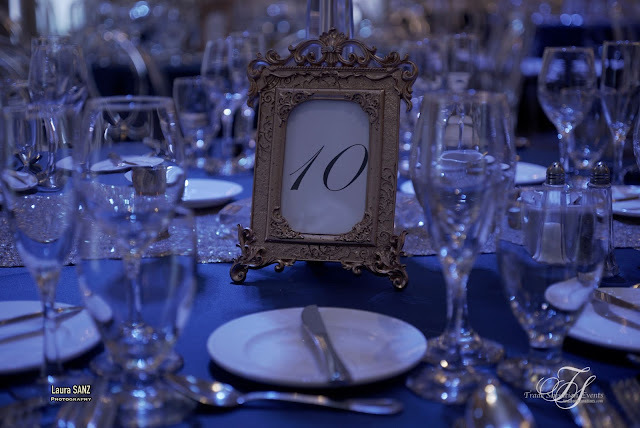 The Reception Decor featured Classic Elegant Centrepieces which the Trade Sensation team put together with flawless execution. 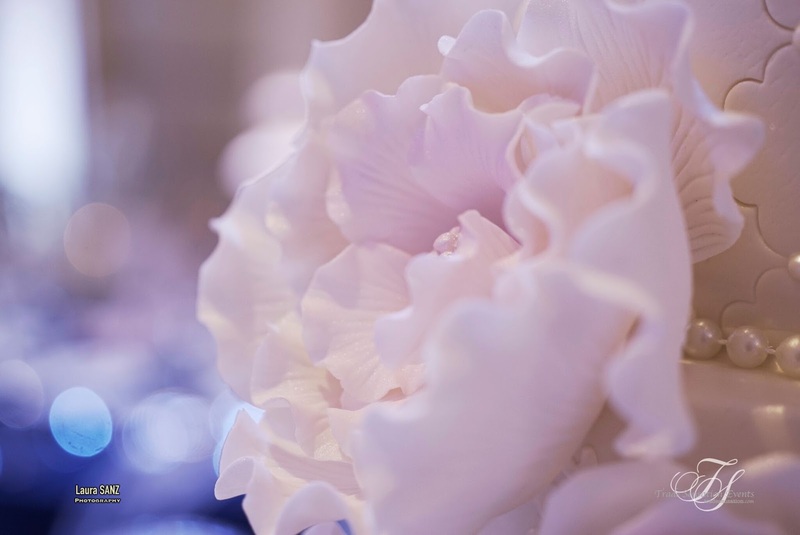 Florals included Pink & Whites. 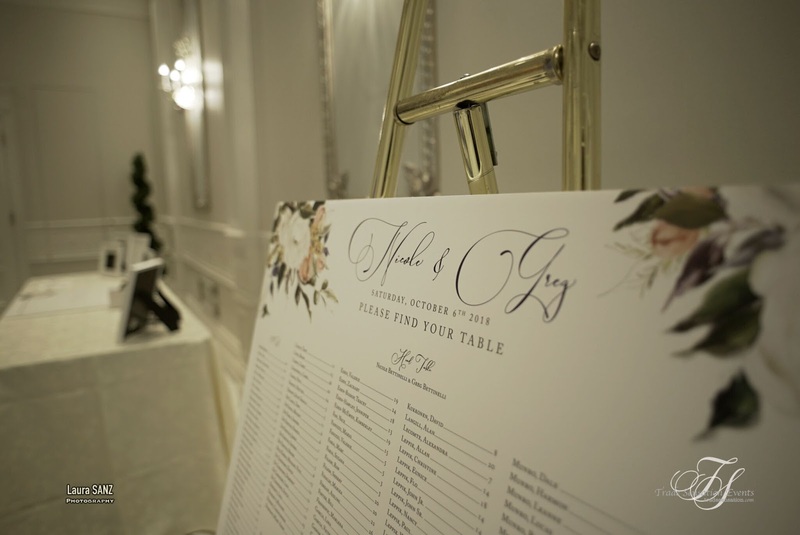 The Head Table featured a Stunning Acrylic Floral Canopy with real Florals, for the Bride and Groom. 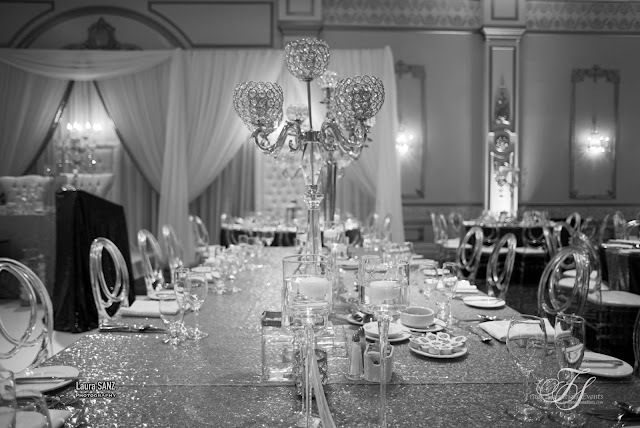 Trade Sensation had the complete Honour and Pleasure of being apart of Tijana and John's special day. 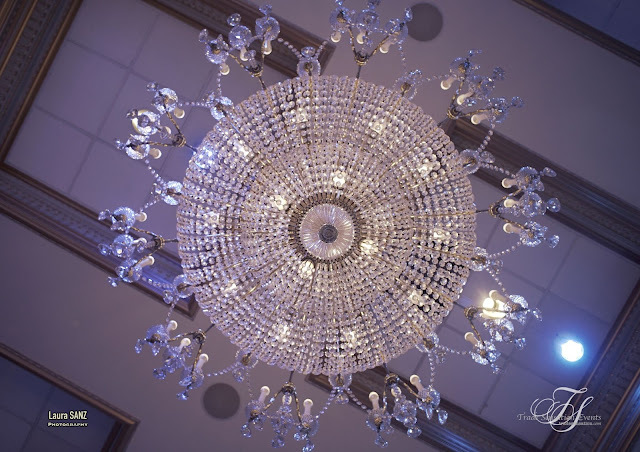 Melissa and Jeff celebrated their wedding day in style at the Regal Chateau Le Jardin where family and friends gathered to celebrate their love. The venue quickly transformed from a stunning fully draped, candle lit ceremony to a modern contemporary reception of black, white, shades of grey and hints of pink garden roses nestled amongst stunning white hydrangeas. Melissa's vision came to life after a full year of steady planning- truly one of the most organized brides Trade Sensation Events has had the pleasure of working with to date! 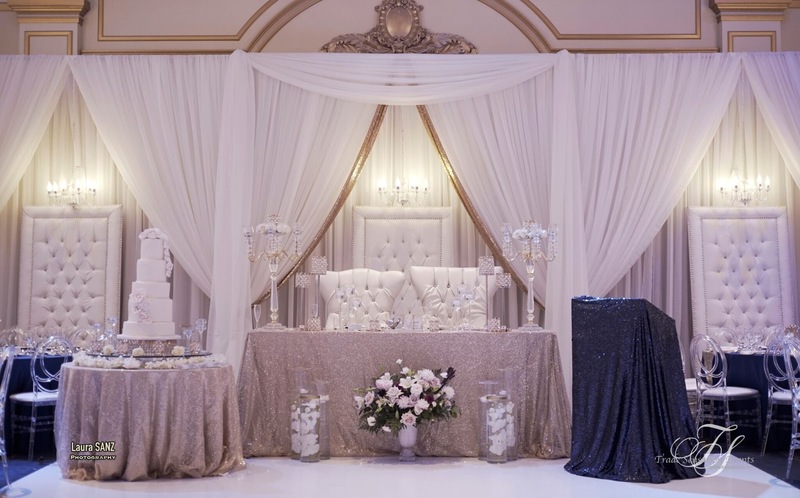 From a black cascading crystal backdrop, to the exquisite custom designed black Versace head table, to a whimsical candy buffet table that dared to impress- this wedding was simply put "over the top"! 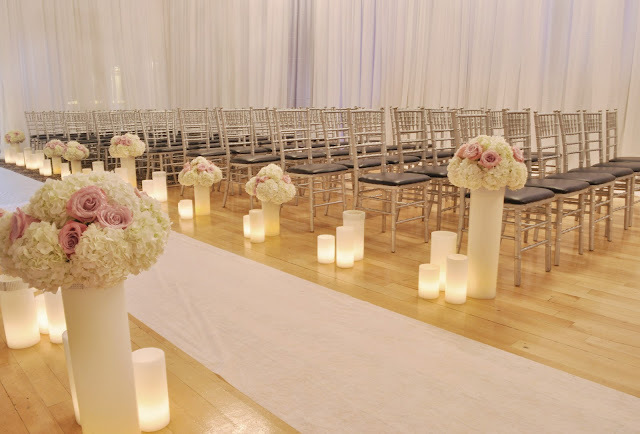 We wish Melissa and Jeff and eternity of love as they start their new life in North Carolina.